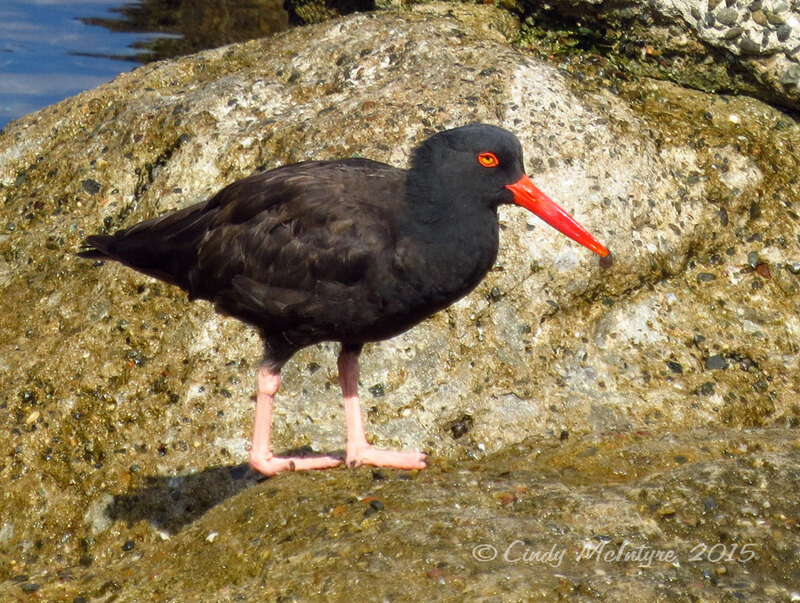 It’s that thick red outline around the yellow eye that makes the black oystercatcher look like a bird drawn by a child. 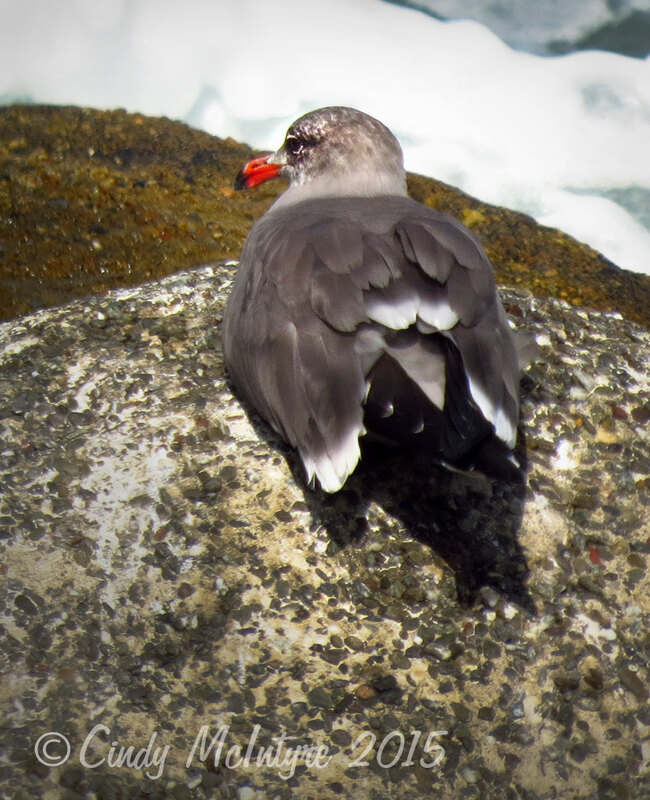 The fat pink legs and thick red bill add to the comedic look of this shorebird that posed nicely for me just outside the Monterey Bay Aquarium. 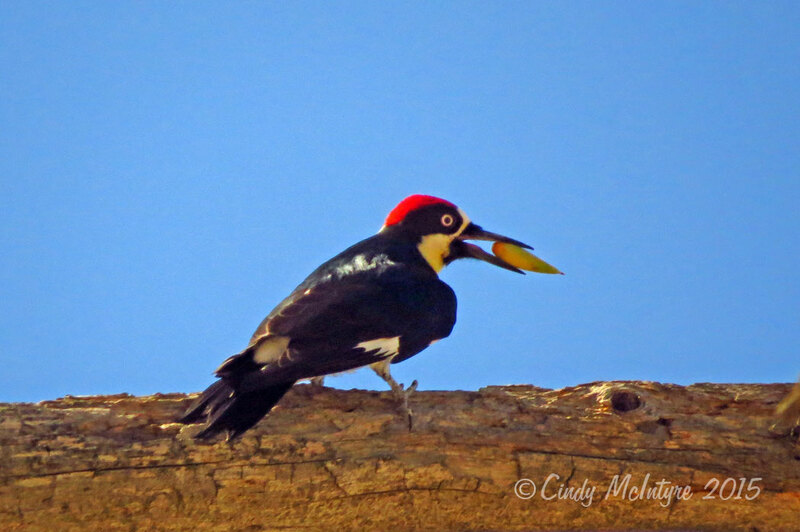 The handsome acorn woodpecker also has a clownish aspect with the large white eyes and perky red cap. 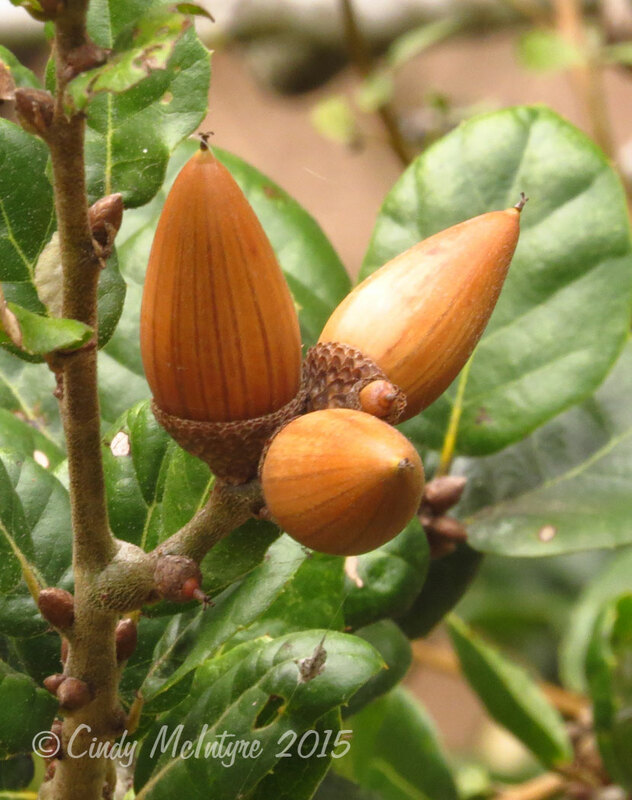 At both Pinnacles National Park and Elkhorn Slough, they took advantage of the abundance of acorns (this one from the coastal live oak) to store them in their granary trees – usually pines with their thick bark and soft wood. 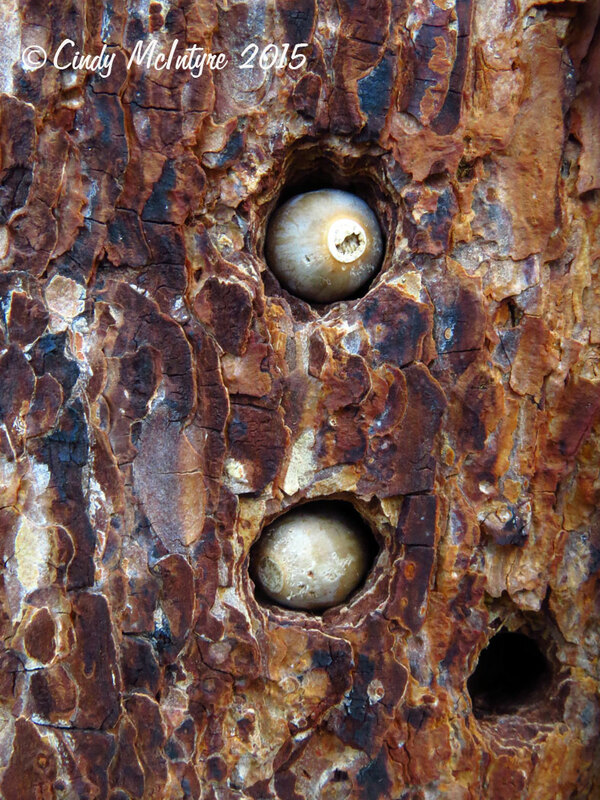 There were plenty of vacant holes they had drilled previously, that were perfectly sized to store the acorns. 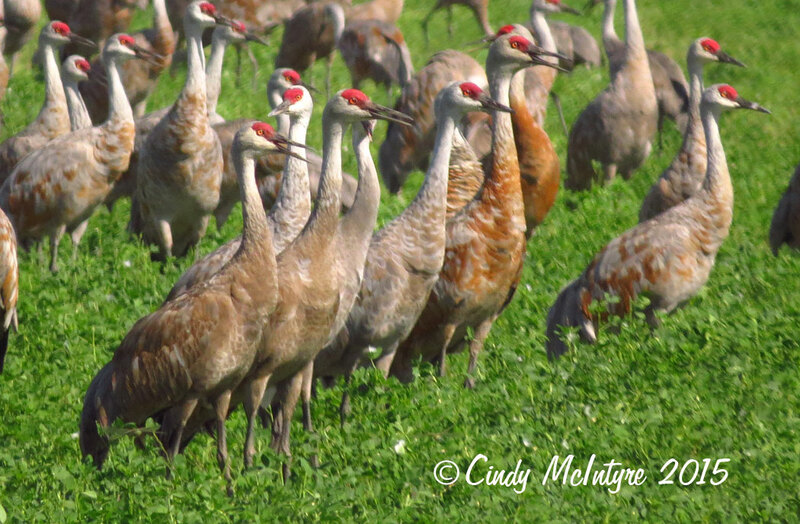 I’ve seen sandhill cranes in Florida, Georgia, and Colorado. Now I’ve seen them in California. 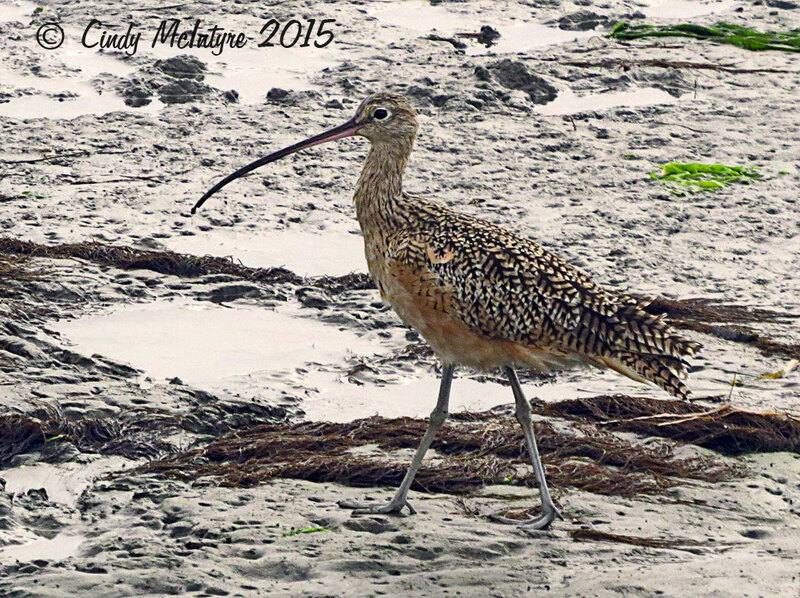 The super-long bill of the long-billed curlew makes this bird hard to ignore. 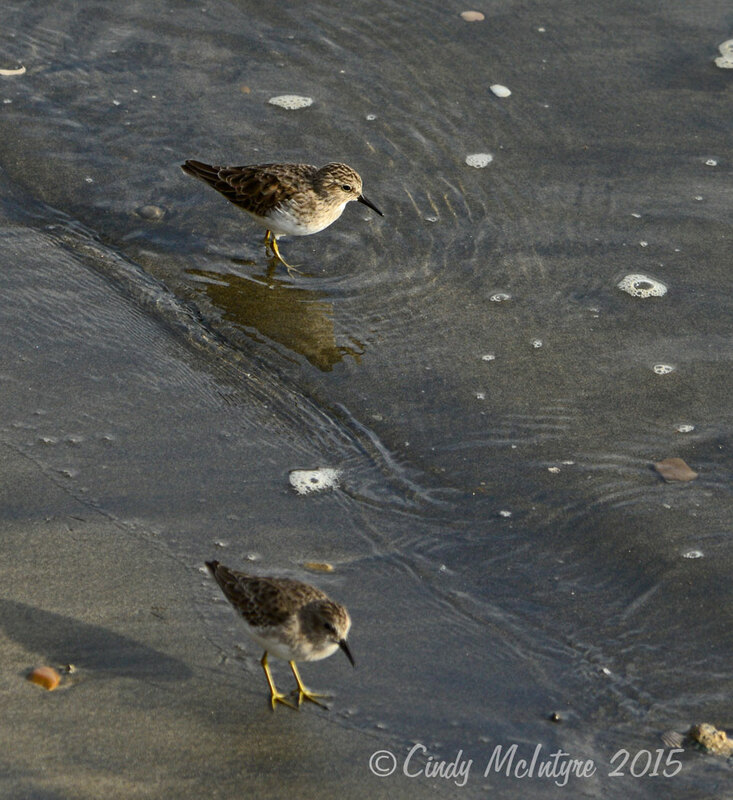 The least sandpipers are smaller cousins. 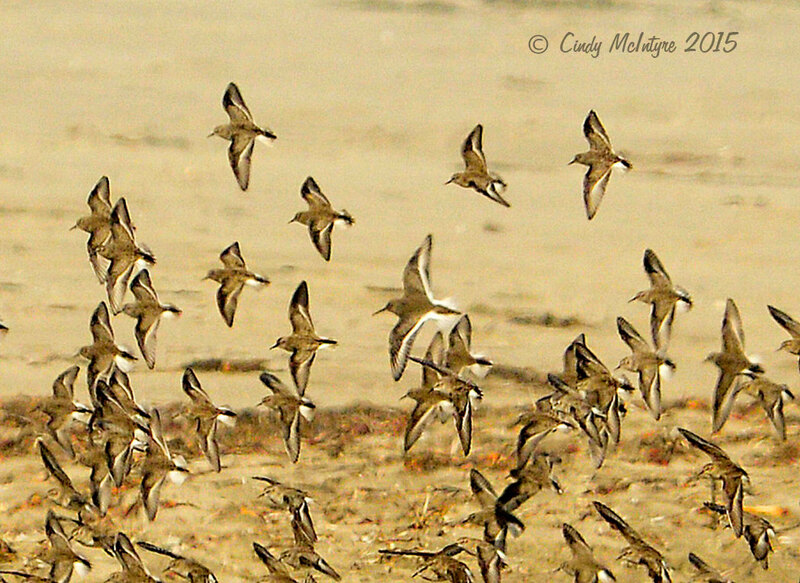 Sandpipers in a flock make it harder for the harriers to pick off an individual. 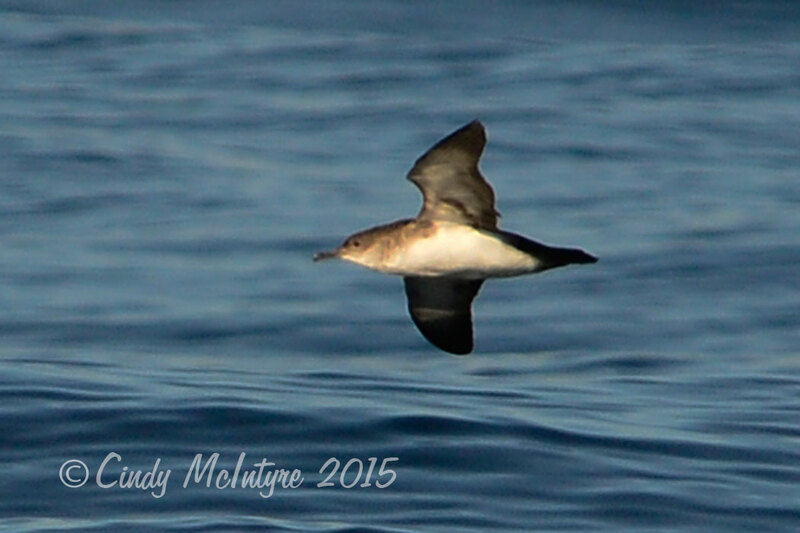 Ornithologists are always changing the names of birds. 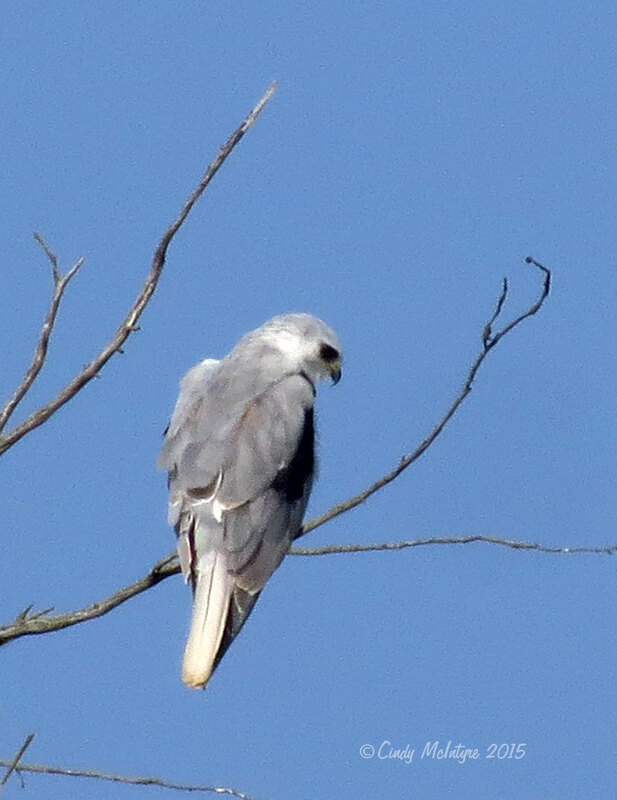 This one is also known as the black-shouldered kite, a bird of prey at Moss Landing. 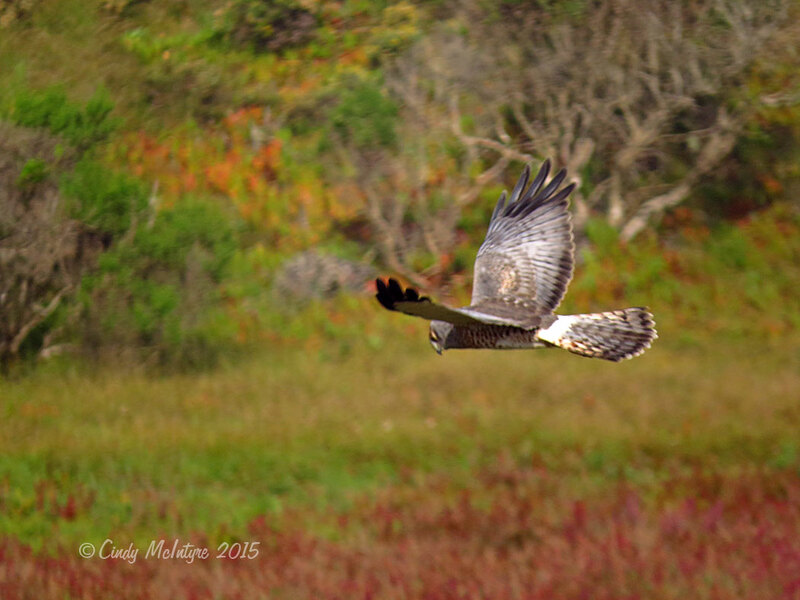 The harrier has an owl-like face. 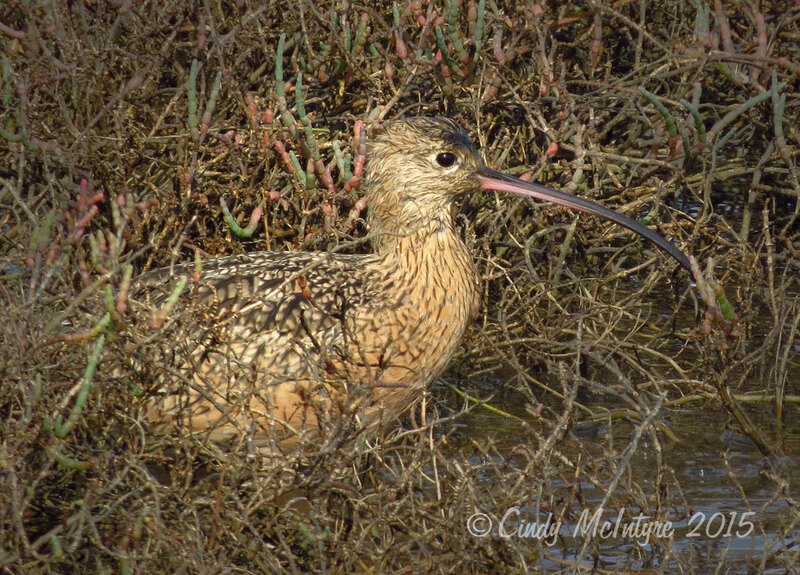 It hunts low over open areas like marshes and fields looking for rodents and unsuspecting birds. 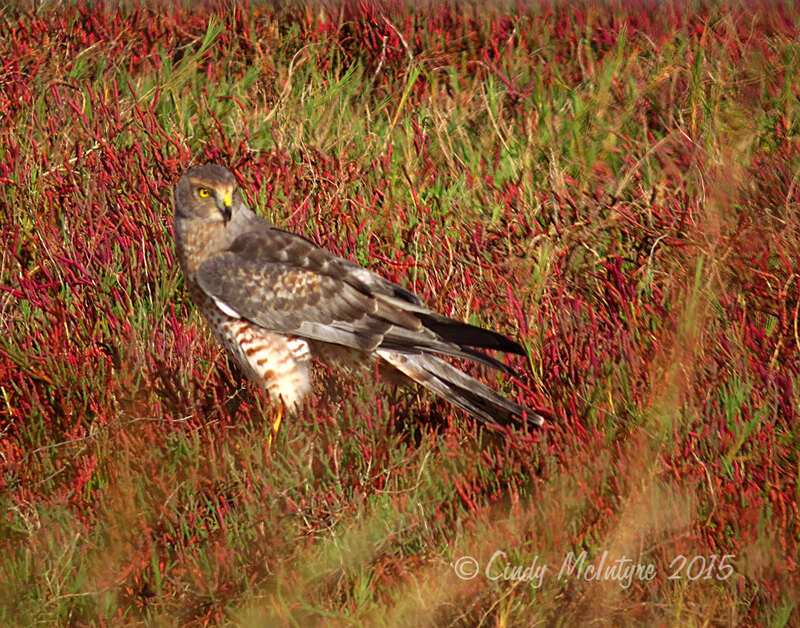 The white band at the base of the tail is a major identification trait of the harrier. 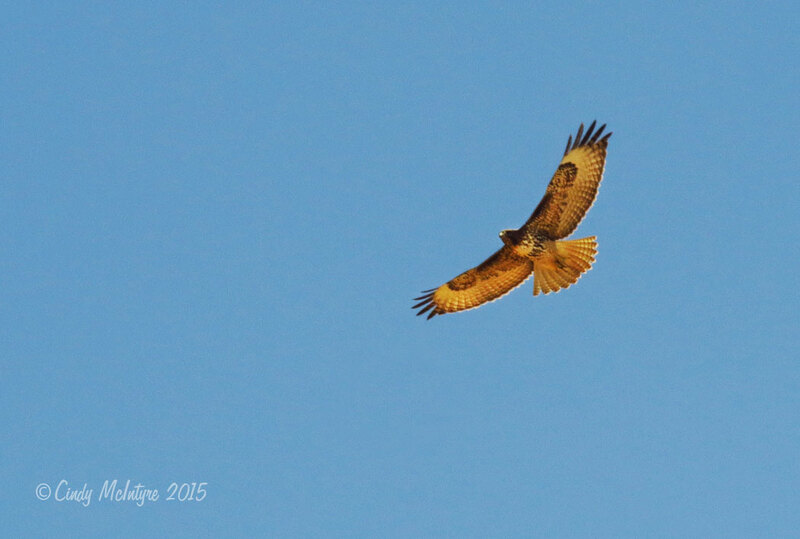 There is a wide variation of color in the ubiquitous red-tailed hawk. 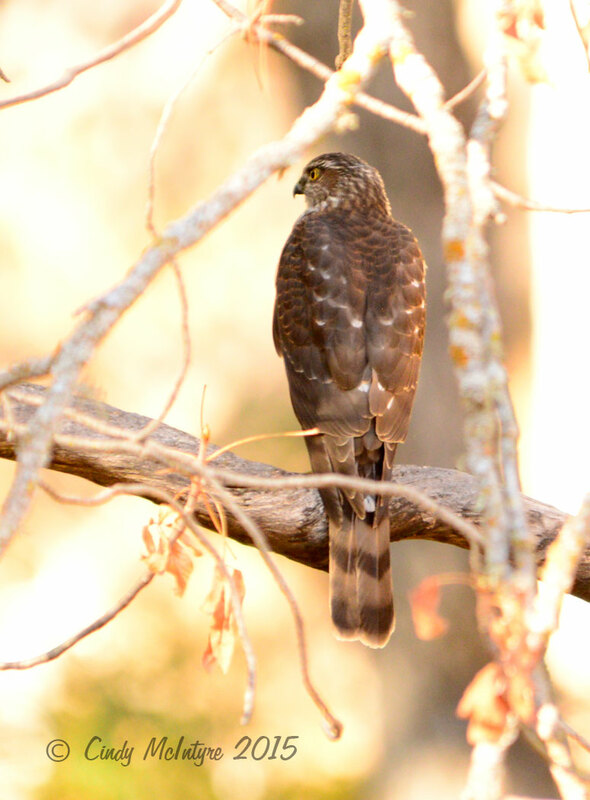 I’m never sure which hawk this one is without another pair of eyes to help, but it swooped in while I was watching woodpeckers at Pinnacles National Monument. 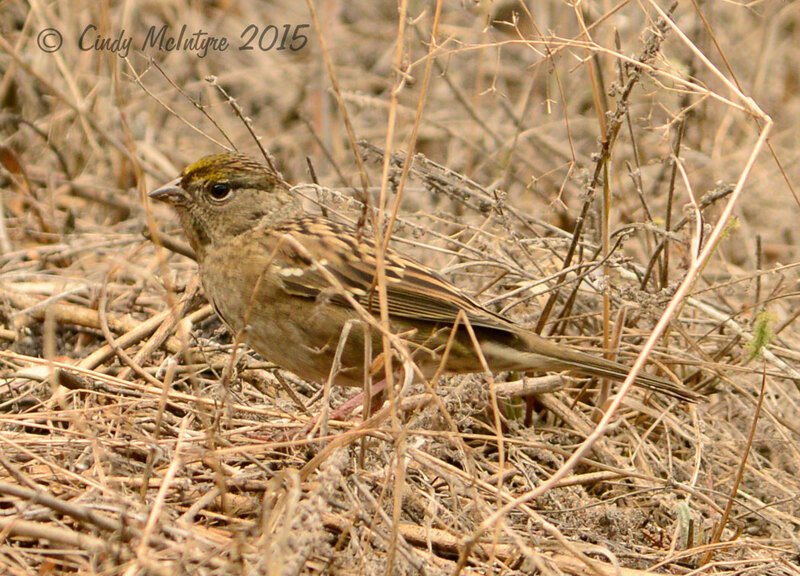 I didn’t realize this was a golden-crowned sparrow until I saw the yellow sheen on the forehead when I processed the photographs. 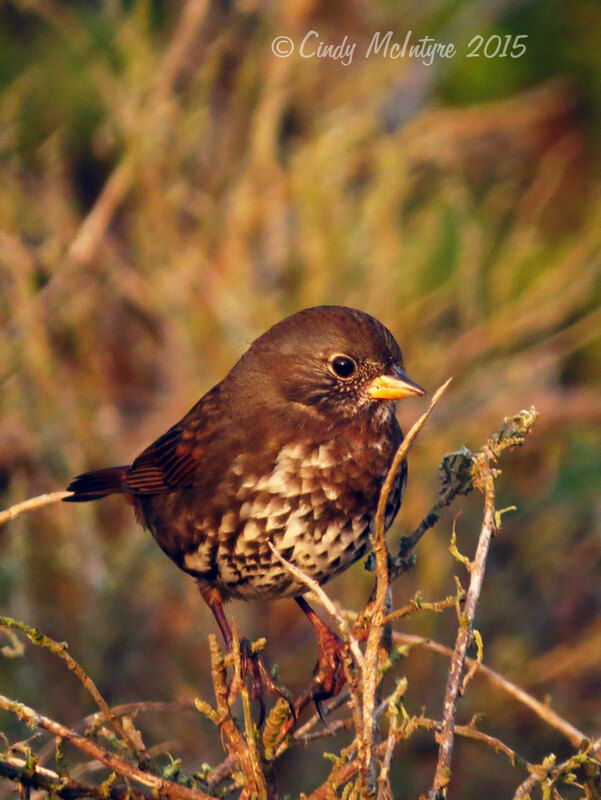 Sparrows tend to be on the drab side, but the fox sparrow has a bit more to offer in the wardrobe department. I saw about three dozen species of birds on a walk at Elkhorn Slough north of Monterey, including this oak titmouse. 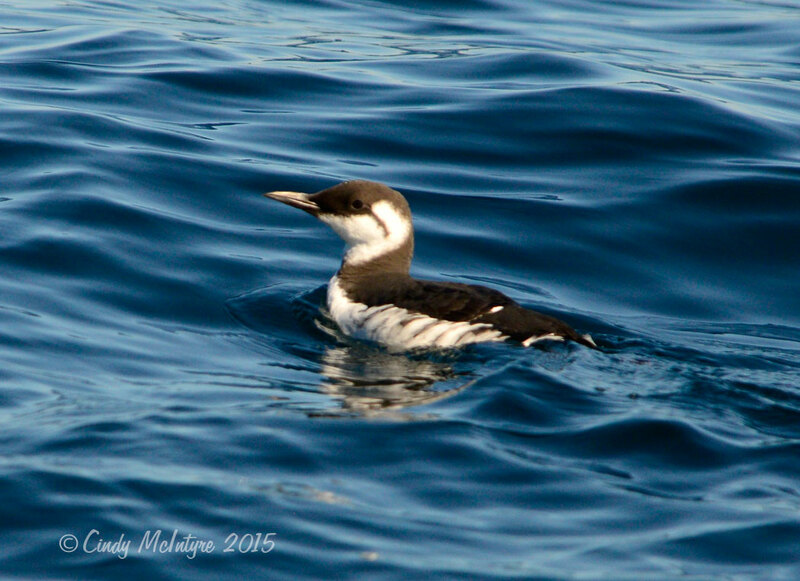 On a Monterey Bay whale watch trip I saw three species that became #455, 456, and 457 on my life list: common murre, sooty shearwater, black-vented shearwater. 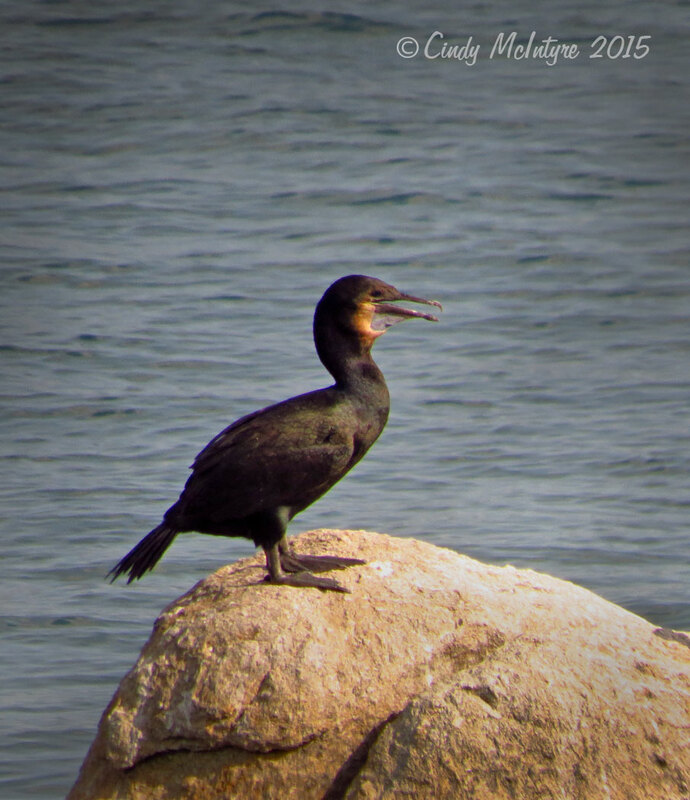 And #458 – Brandt’s cormorant, which was easy to see from shore. A fitting end to this collection of birds. Goodnight! 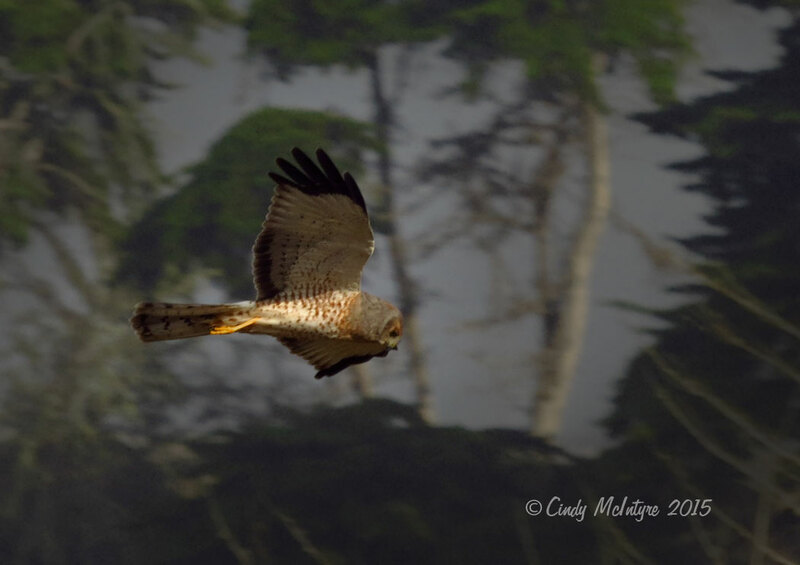 Fantastic pictures, Cindy, I love them! 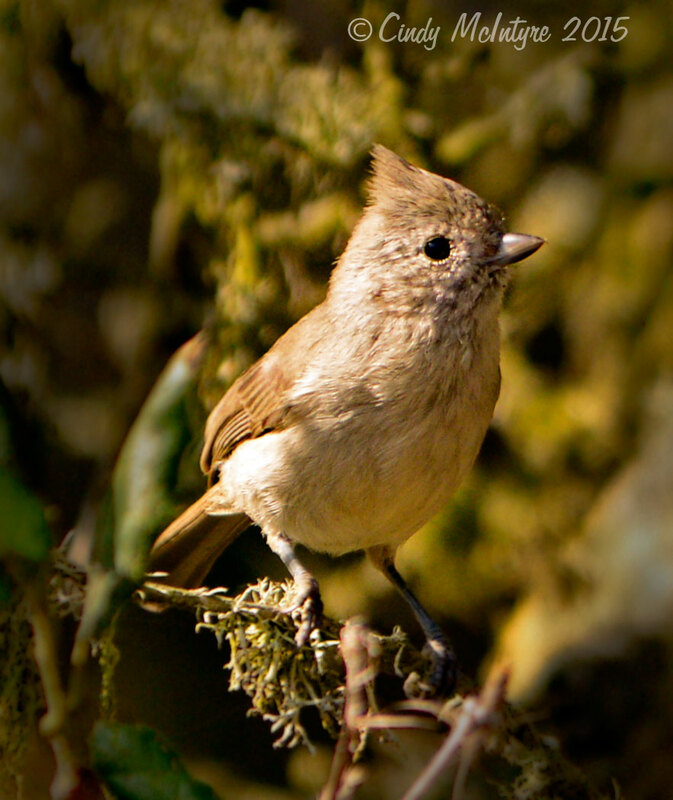 My favorite is oak titmouse, such a cute hairstyle! I also want such! Marvelous pictures. You might like to paddle Elkhorn Slough – one of the top paddles of my life due to birds, seals, a fox and great scenery. And there is a kayak story right at the intersection with the beach. 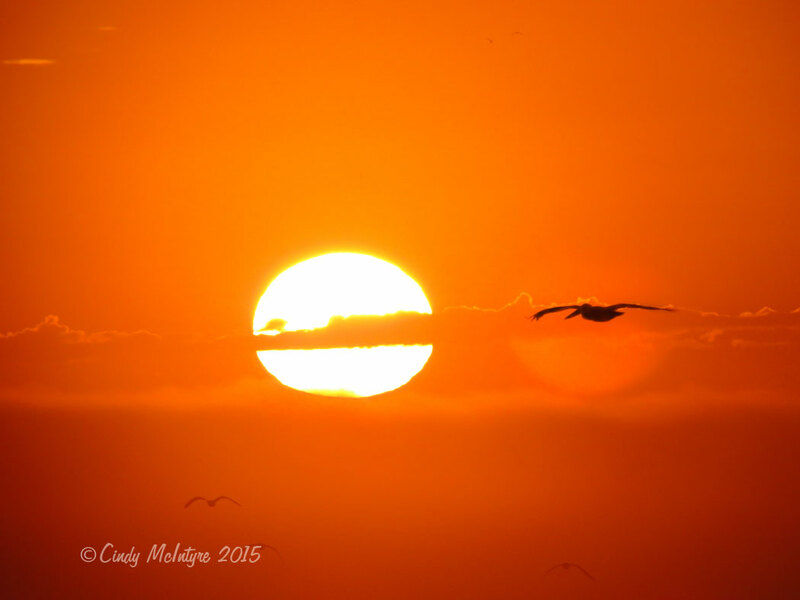 Thank you so much for sharing your beautiful photographs. Since becoming a caregiver for my mother and my father-in-law in the last 2 years, I’m not able to get out and spend time in with nature like I used to be. Also being on the East Coast (FL), you present a lot of species that we don’t have here. 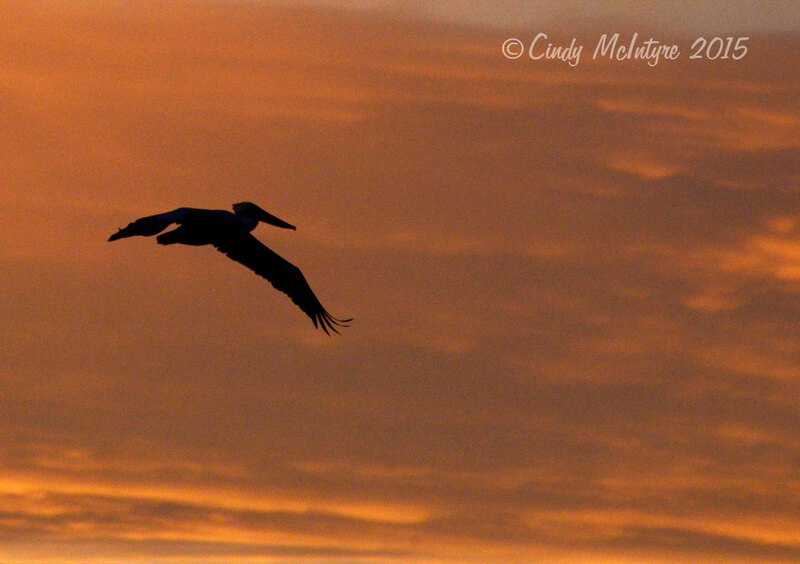 I am vicariously traveling and seeing these creatures and places through your wonderful artwork! 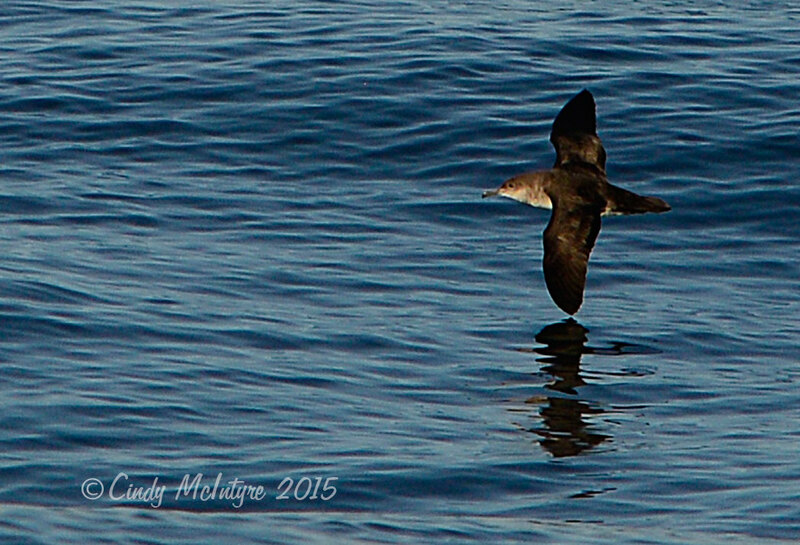 Hi Susaan – Florida certainly has some of the best birding around and I miss it. 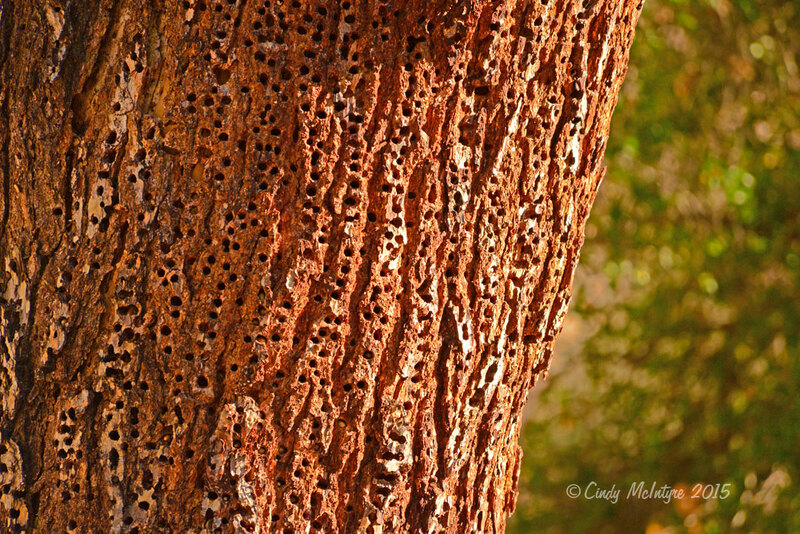 Hope you are able to attract birds to the yard with feeders. Being a caregiver is a very important role and I wish you well.